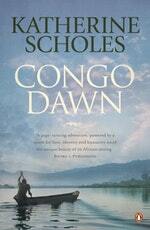 Transport your book club to Africa with Katherine Scholes’ Congo Dawn. 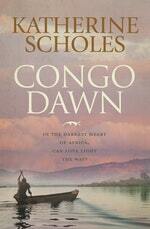 A landmark novel about good and evil, and the inexhaustible power of love; an unforgettable story filled with drama, conflict and deep emotion – Katherine Scholes’ Congo Dawn has all the hallmarks of a book club hit. Here are some questions kick off a memorable reading group meet-up. What did you make of Anna’s decision to head to the Congo, and then deeper into the jungle? Did she really have any choice? At the lakeside hotel Eliza tells Anna that ‘the journey itself will have meaning’. How is this proven true in the story? When Dan joins the Commando unit he is told, ‘It will be the most important thing you will do in your life.’ Do you agree? Anna comes to understand that some of her feelings stem from ‘the part of a girl’s heart that belongs to her father’. Discuss the significance of the father–daughter relationship in the novel. Dan forgives Marion for leaving him. Can you? When Dan saves the life of a Simba rebel, he briefly questions his own actions. Do you think it is possible to do the right thing and the wrong thing, both at the same time? If violence breeds violence, can love do the same? In what ways is this idea played out in Congo Dawn? There are many different battles in the book – people fight physical foes, but also fear, disease, ignorance, guilt, deception. Can you identify other forms of conflict in the novel? The mercenary soldiers are all fictitious, but were partly inspired by real people who fought in the Congo. Can you understand someone making this choice? The Congo jungle is experienced very differently by the various characters in the book. Describe the contrasting relationships with reference to the local people, the missionaries, the mercenary soldiers, the Simbas, Anna, Dan and Eliza. Discuss the symbolism of the leopard. By the end of the book, which characters have come to gain more than they lose? Bring your book club together for lively debate about the true meaning of ‘for better or worse’ – both in marriage and in friendship.